Hello everyone and welcome to another new week. I am busy busy finalising “the book” so can’t stop to chat today but thought I would share with you the results of our Cape Embroidery Guild competition that I sponsored this weekend. This is the embroidery guild in Cape town, South Africa that has about 100 members. As you can see we have some very talented embroiderers in our midst, with a diverse selection of entries in all techniques. The entrants were asked to submit a small flower in any technique. 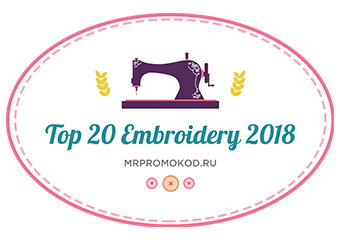 It was a very very difficult thing to judge but I had help from some experienced embroiderers and we worked on a point system (like judging diving or dancing competitions) out of ten. It made my day to see the look on the faces of those who won a prize. Some of them had never before won anything and looked totally overwhelmed, I would do it all again just for that! If you click on each thumbnail you will get a larger view and can have a good look. Hi, where do I go for information about the guild? I’ve googled it, but only found the American and British ones. Thank you for sharing this lovely work! These are gorgeous !!! So much talent !!! Wish I was there to see all the other entries as well :-). What beautiful work your people do! Very well done. I am impressed. Magnifique. Congratulationa to all the embroitherers. There is some wonderful work there – well done to all! Absolutely fabulous!!! All winners, truly beautiful. Thanks for posting. Fabulous work… color, imagination,workmanship…just beautiful. Absolutely GORGEOUS work! Thanks so much for posting the pieces, Trish! Perfect way to start a Monday! Magnificent work! Congratulation to all the participants. Thanks for sharing Trish!